This was an impulse purchase on a recent visit to Cadenheads Edinburgh. I was in the shop picking up the 16 year old Springbank Barley release and this other recent arrival caught my attention. The cask strength 12 year old is one of those whiskies you just take for granted in reality. You know its there or thereabouts in terms of release and it always delivers the core distillery characteristics. Originally batch 1 came out in 2010 and 6 years later we're in double figures for batch 12 now. It has been a while since I took it out for a spin, so £50 later here we are. This is a combination of 65% bourbon casks and 35% sherry casks. Springbank if you didn't know, prides itself on producing whisky the traditional way and sets the standard for other distilleries to aspire to. The fact that the packaging is basic and doesn't even mention any of the heritage, skill or traditional techniques just shows you that they have supreme confidence about what is in the bottle. 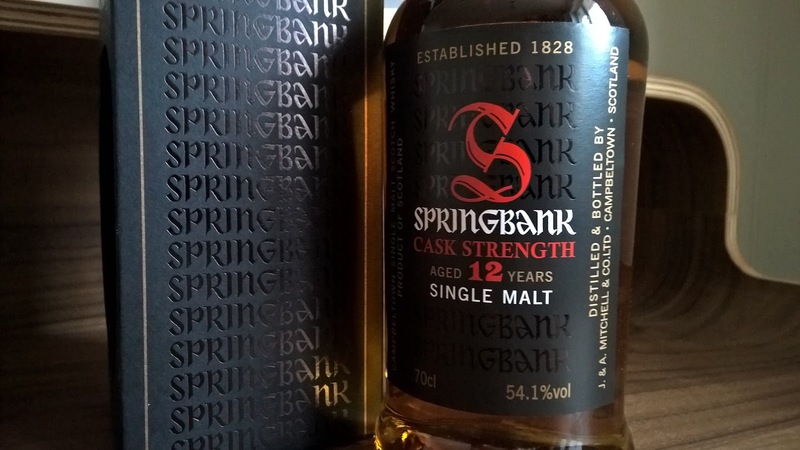 Distilled 2.5 times, Springbank is normally lightly peated, quite distinctive and has a legion of fans. Bottled at 54.1% volume this batch was unleashed on the whisky world in January 2016. Nose: even just pouring a healthy measure and leaving the table to remove the bottle, its noticeable upon returning a malty aroma fills the room. Treacle, roasted hazelnuts and Jaffa Cakes! Yes, that's it now. That marriage of orange peel and dark chocolate with a little sponge all the way from Campbeltown. It still has that 'diesel' characteristic as a friend calls it; a real earthy compost and primitive quality. With water more dried fruits appear. Taste: coal is my first thought, standing in my Gran's old coal bunker. So that'll be smoke to a certain degree. Enjoyable at cask strength with the alcohol strength just tingling the edge of your tongue. Meaty like a well fired burger with an orange glaze. Roasted plums with a black peppery finish of decent duration takes us back to refilling the glass. A Groundhog Day malt. With water memories of Parma Violets confectionery. Overall: almost a meal in itself. 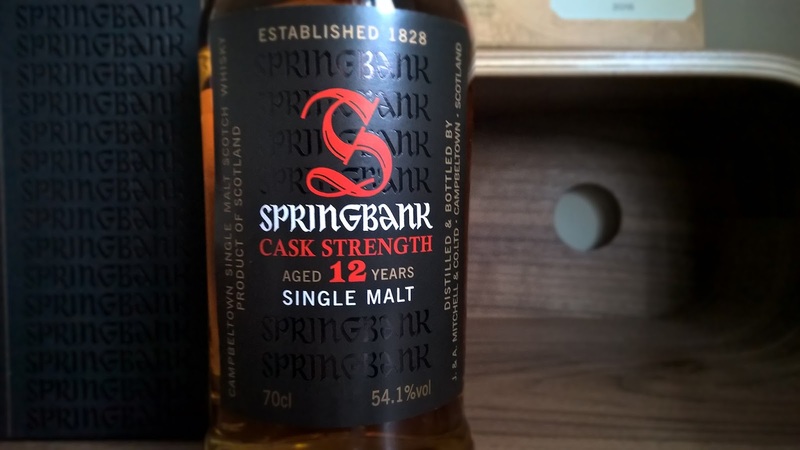 Big, thick and chewy this Springbank keeps up the high standard of the range and for £50 is extremely well priced. This is give or take the same price range as the Lagavulin 16 year old, Laphroaig Triple Wood and the Nikka Coffey Malt. Here's to Batch 13 due later this year.